Thomas Sturges Watson is a winner of eight Major championships in golf. 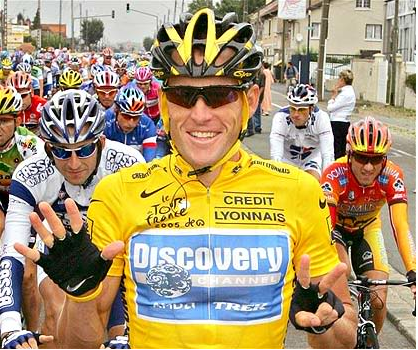 Lance Edward Armstrong has won the Tour de France a record seven times. Mr. Watson and Mr. Armstrong, in the vast universe called Sports, are two of the most venerated and hallowed names. Together, they are also two of the oldest competitors in their fields of golf and cycling. 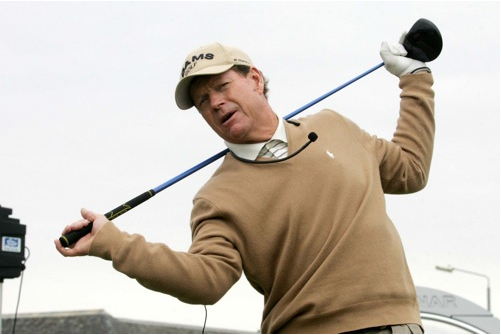 Tom Watson, barely a month shy of his 60th birthday, was one of the golfing greats in the 1970s and 1980s. Lance Armstrong, born on September 18, 1971—which makes him 38 years old in six weeks’ time—dominated cycling from 1999 to 2005. Tom and Lance should have retired. Competing against 20-year-olds, Tom’s grandfather age of 59 and Lance’s 37 make them not only old-timers but also aged, antiquated, antique. Well, well…. after last weekend, after all the frenzy and drama and fervor Tom and Lance brought to the World Of Sports, we’re glad they didn’t just stay home, watch TV and sit on their mansion’s couches. Tom Watson should have won. With one hole left in the British Open at Turnberry, Scotland, he was leading by one stroke. Yes, a nearly 60-year-old dismissing the likes of 33-year-old Tiger Woods (who missed the cut) and owning a one-shot lead heading towards The Open’s 72nd and final hole. Lance Armstrong should have won. Trailing by a mere eight seconds after over a dozen stages of the Tour de France, the yellow jersey was within sight. Eight seconds! Holding one’s breath takes much longer. But, Tom lost and, come Sunday, Lance will lose. Almost. Mr. Watson missed an 8-foot putt on the 18th hole last Sunday that would have made him the oldest major champion. Not of this year. Not of this decade. But… ever. With that missed putt, he went on a four-way playoff and lost to the eventual champion, Steward Cink, who, at 36, is old enough to be his son. Almost. Mr. Armstrong started Stage 15 in fourth place of the spectacle often billed as the “toughest sporting event of the world.” By the end of the French Alps climb two days ago, he landed in second place. Yes! you’d think, Lance improved—from fourth to second! But, no, he did not, because his teammate Alberto Contador blew past him in the last kilometers of Stage 15 and, unless a freak accident happens, Contador will wear that yellow jersey all the way to Paris on Sunday. That’s true. Had the man often called “one of the best links players of all time” won on the British links course, his feat would have been called by this moniker: The greatest achievement in all of golf. Almost. Another good sport is Mr. Armstrong. Although trailing Contador by only 1 minute, 37 seconds (it takes longer to read five paragraphs of this article), he’s shown himself to be a team sport. What a good sport. And so, on this third week of the seventh month of 2009, when we could have witnessed two of the most stunning sporting events, we’re brought back to the reality that says, It’s hard to win when you’re a Senior Citizen.